an edge to your everyday work look. But what I love the most about them is that you can wear them from day to night by simply changing your accessories. I always take an inspiration from the past and at moment I am obsessesed with the late 60's, early 70's. I try to chanel the retro vibe in my looks a lot and today is no different. I've decided to pair my skirt with this colourfull blouse in navy and orange. It has a cute retro pussybow detail that is a big trend to embrace in to the next season. You definitely need a coat to keep you warm as the weather is getting colder by the day. 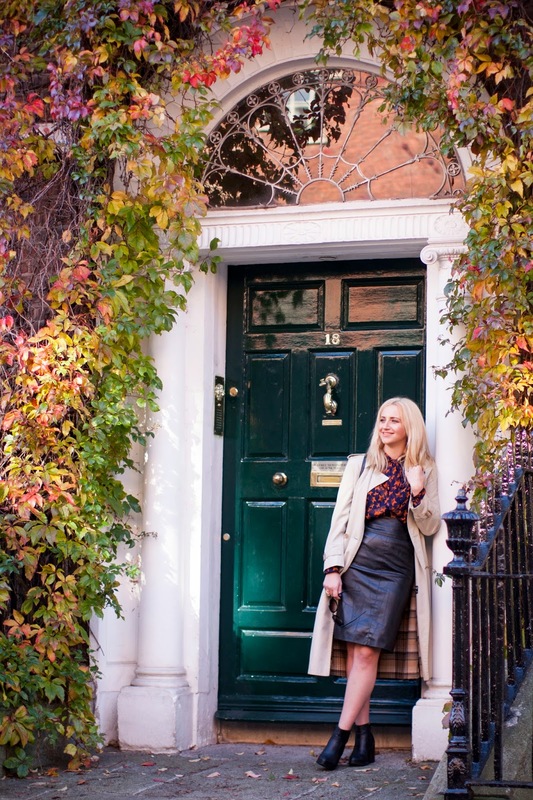 I chose to cover up with my favourite vintage trench, that was a rare find in a charity shop. It's one of thoses timeless pieces that never go out of fashion and I was really delighted when I got it. 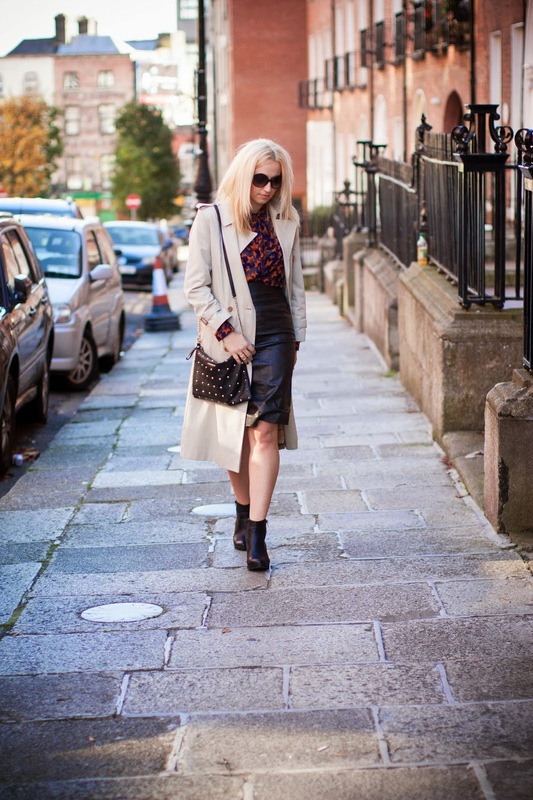 What's your opinion on wearing leather skirts in to work?